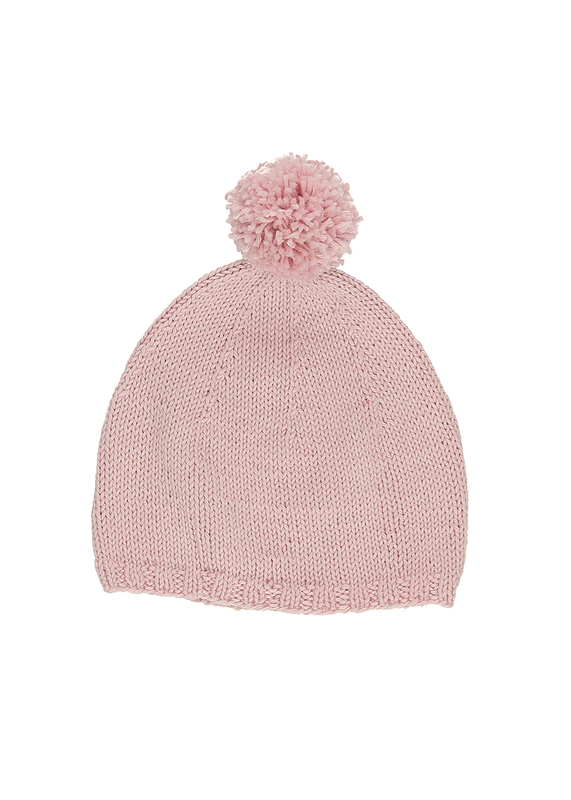 Everyone loves hats with pom poms – even the little ones! Knitted in a basic stockinette pattern and with a narrow cuff, the hat is finished in no time at all. Maybe you will inspired to knit one in a different color for each day of the week, or with different yarns from the Baby Smiles Collection. Since all four yarns have the same gauge, they are interchangeable. You can choose between Baby Smiles Bravo Baby 185 (100% polyacrylic), Baby Smiles Cotton Bamboo (52% cotton, 48% rayon), Baby Smiles Cotton (100% cotton) and Baby Smiles Merino Wool (100% new wool). Set your creativity free! Instructions included for circumferences of 33 – 35 cm, 36 – 38 cm and 39 – 41 cm.